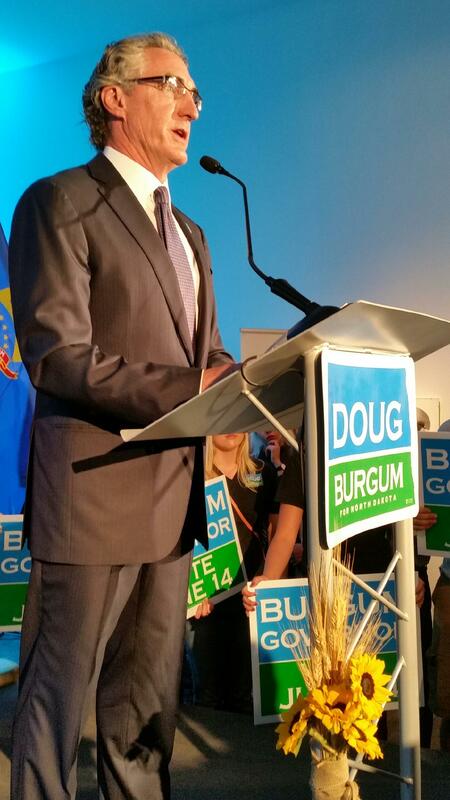 Burgum said it's the right time to right-size government. He said that means looking at return on investment and quality of results. Burgum said part of the change could include getting the state out of what he calls “the property tax buy-down business" -- which he said has multiple shortcomings. "First, it's not free money," Burgum said. "It's tax money coming in and then being redistributed in an attempt to lower other taxes. Second, it's an unsustainable expenditure line that continues to grow. But perhaps most dangerously, it acts as a subsidy which entices communities to make long-term investments they may be ill-equipped to afford." Burgum said the state needs to find an "off-ramp" to end the buydown. While Burgum did not explain how that could be achieved, he said his administration is open to any and all ideas to reform the current property tax system. Burgum also said the state needs to invest in addiction treatment programs, given the growing opioid crisis. He said addiction has taken its toll on the state budget – because the state has chose to build more jail space instead of investing in treatment. "Jail time without rehab is not a cure for addiction," Burgum said. "We need to start treating addiction like the chronic disease it is. And by moving resources upstream, we will save lives and we will save taxpayer money." Burgum said it will take collaborative action – among law enforcement, human service agencies, faith-based organizations, non-profits and the judiciary. The new Governor also talked about the on-going Dakota Access Pipeline protest. Burgum is calling on Dakota Access Pipeline protestors to vacate their main camp on Corps of Engineers land. He said because that camp sets on the flood plain of the Missouri and Cannonball rivers, it will likely flood in early March, due to the heavy snows the region has already received this winter. He said the abandoned cars, illegal structures and human waste have to be cleaned up – and that will take tribal, county, state and federal agencies to accomplish. "Anything less than a complete restoration of the area prior to an early March flood will endanger the lives of the protestors, and of our first responders," Burgum said. "It will also create an environmental threat to the waters of the Missouri." Burgumm said the Standing Rock Tribes, original concerns about water quality and government-to-government consultation have been "hijacked" by "those with alternative agendas." He said he plans to meet with tribal leaders over the next several days, to hear their concerns. The Governor didn't have many specifics in his address. But he said the plan will be rolled out as amendments to the Dalrymple budget. Former North Dakota Governor Ed Schafer said he likes Governor Doug Burgum’s call for a “reinvention” of state government. But Schafer said he was somewhat disappointed that Burgum is keeping a number of cabinet members from the Hoeven and Dalrymple Administrations. 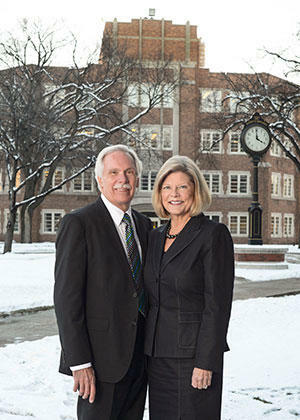 "If he really wants to re-invent government, and he really wants to change the way North Dakota does business, and takes care of the people, he's going to need fresh ideas and new ways of doing things," Schafer said in an interview. New North Dakota Governor Doug Burgum said the state’s budget situation will force state government to change the way it operates. 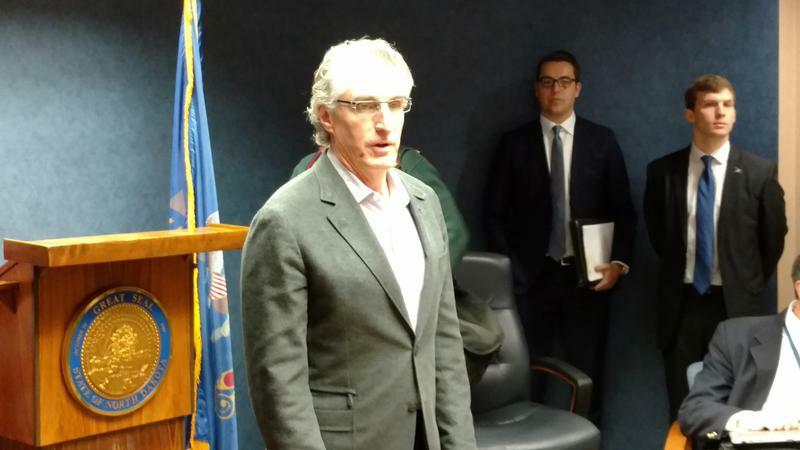 Burgum met with his cabinet in Bismarck Thursday – and reporters were allowed to be in that meeting as the new Governor laid out his vision. No questions were taken. Burgum told the cabinet the current budget situation is an opportunity.